For us, Machu Picchu was the catalyst for planning a trip to Peru. Although we later learned of Lima’s revered cuisine and the spectacular views in the Sacred Valley, Machu Picchu is still the most important stop on our itinerary. Accordingly, a lot of research and thought went into our ultimate plan for a day trip to visit Machu Picchu from Ollantaytambo. Seeing Machu Picchu at sunrise was an important consideration in our planning. Many visitors accomplish this by staying the night at Aguas Calientes (the town right below) the night before and catching the first 5:30am bus up to the site. However, most of the lodging in Aguas Calientes is very expensive, and the town itself is described as run-down and devoid of character. This realization, combined with reports of extensive fog in the morning and the discovery that trains from Ollantaytambo leave as early as 5:07am (arriving in Aguas Calientes at 6:34am), led to our decision to do a day trip from the Sacred Valley, as opposed to doing an overnight stay at Aguas Calientes. Trip reports from others stress the importance of planning ahead of time. There are a limited number of trains that run to Aguas Calientes, and it is sometimes impossible to make plans once arriving. Even over 2 months ahead of our trip, we found that several train options (including one we figured would be the most convenient were already booked). Additionally, the park itself limits the number of visitors to 2500 per day, and only 400 per day (in 2 time slots) for climbing Huaynapicchu (a popular hike within the park). Two months ahead, there were still 167 slots in the later afternoon climb and 2450 for general admission, but I did notice that in the current month, several days had no availability. Luckily, both train and park tickets can be obtained online. Although visitors can also go through tours or travel agencies, it is usually more affordable (and I think more fun) to plan independently. Train tickets are available through 2 companies: Peru Rail and Inca Rail. Most trains leave from Ollantaytambo, which is a great base for exploring the Sacred Valley. Four trains per day (including the luxurious Hiram Bingham train) leave from Poroy near Cusco, traveling through Ollantaytambo on the way. We decided to take the earliest train, the 5:07am from Ollantaytambo, to enable to us to get as early of a start as possible. We selected the 6:22pm return train, given that it wasn’t long after the 5:30pm closing time for the park. 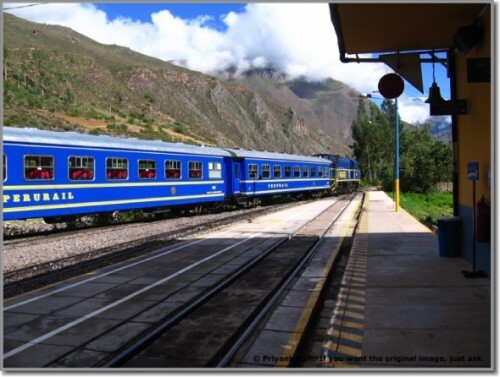 Besides the Hiram Bingham, Peru Rail has two different classes of train: the Expedition and Vistadome, but we paid more attention to the times than the type of train. Booking on the Peru Rail website is fairly straightforward. As with train operators in Europe, Peru Rail recommends you use a Visa card registered in the Verified by Visa program. Unfortunately, fewer and fewer cards are participating in this program (I just read confirmations that Chase cards dropped out of this program). We decided to try our luck with our United Mileage Plus Explorer Card from Chase, even though it’s not in the Verified for Visa program, because it now has no foreign exchange transaction fees. To our surprise, it worked! However, we later learned that because it was not a Verified by Visa card, we need to pick-up paper tickets at a Peru Rail office when we arrive in the country. Verified by Visa transactions can get e-Tickets. We are going to try and contact Peru Rail to see if there is a way around this limitation, because the hours and locations of their offices are not the most convenient. 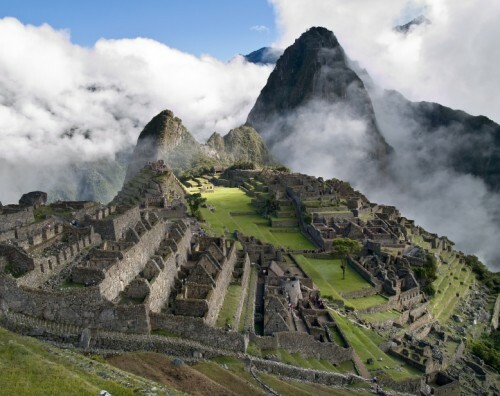 Tickets to the Machu Picchu park are available on the website administered by the Ministerio de Cultura. Despite frustrating lag time, Flash, and unreliable language selection, we were able to secure our tickets. The first step is to select “MACHUPICCHU” in the left drop down and the desired admission (general or a Huaynapicchu time slot) and then you can view availability on different dates. This is all done with the “Reservas” or “Reservation” tab selected on the top. After inputing information for participants, you are actually granted a reservation without paying. The next step is to select the “Pagos” or “Payments” tab to use pay for your reservation. You’ll need the reservation code from the first step. Unlike Peru Rail, cards with Verified for Visa registration appear to be mandatory on this site. We were unable to get our Chase card to work. After paying, the last step is to use the “Check-in” tab to enter the reservation code one last time to retrieve e-tickets that can be printed-out and used for entrance. Expect to pay a lot for the Machu Picchu experience. The combined cost of the train tickets and site admission cost us $368 ($184/person). That price does not include the cost we expect to pay for a bus fare once in Aguas Calientes ($12 R/T). However, it is nice to have the peace of mind that our transportation and admission are guaranteed before leaving. This entry was posted in Travel and tagged Peru, Peru 2013 Trip, South America, trains, travel planning by Ryan. Bookmark the permalink.